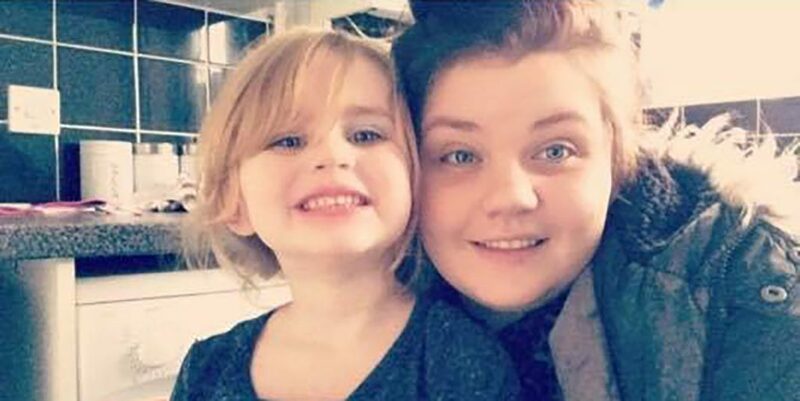 Hiya my name is Jodie, I’m 20-years-old and this blog is about me and my experience of being a young mum. In January 2013, I found out I was pregnant. Yes, it was a big shock to the system but I would not change my little girl for the world. Mia Lea was born in October 2013, our lives changed massively, we had to grow up fast and make our baby girl’s life the best we can. Mia was 6 days overdue when she was born, I had an emergency caesarean as Mia’s heartbeat dropped and she had pooed because she was stressed so I went down to theatre at 8.45pm and Mia was delivered at 9.05pm. I was 15 when I found out I was pregnant and I was in the middle of my exams, the beginning of my pregnancy was tough as I was still going to school and a secret never stayed a secret for long! I was spoken about, looked at and had nasty comments made towards me on social media because I was pregnant and still in school doing my GCSEs. I never let it affect my choices or decisions because I had a lot of help and support from both mine and my partner’s family at home. Also, I had a lot of help and advice from my family nurse. I can’t thank my family nurse enough as she helped me with many questions I had and never judged me. She was there for advice and to help me do the best for Mia. When Mia was born, I had regular visits and we watched Mia grow and learn together until Mia turned 2 and sadly that’s when my FNP experience came to an end. FNP stands for Family Nurse Partnership and they work with first time young mums and families helping them to have a healthy pregnancy, improve their child’s health and development and plan their own futures. I think this is an amazing programme as I learnt a lot about being a parent. I know that unfortunately, other people don’t have families for support and have no one to turn to, well this is exactly what FNP do. If you’re interested, then contact them or if you know anyone who needs some support or someone to talk to then mention FNP. I lived at my mum’s with Mia until I was 17, then I got my own place not far from my mum’s. I now live here as a little family and I couldn’t be happier Mia is now four years old and is so sassy she makes me so proud she is such a funny and caring little girl but yes she does have her moments her tantrums to they say terrible twos well it doesn’t stop there. Mia is loving nursery she goes three days a week, Tuesdays, Wednesdays and Thursdays 10 till 3. 3 years ago, I went back to college to study childcare as I have always wanted to be a nursery nurse I studied my level 2 and passed. I now stay at home as I’m struggling with job searching. I’ve been to interviews but at the moment I can’t do the hours they need as I still have Mia to think about. It’s hard trying to get a job and be a mum as the hours are hard but Mia starts full-time school in September and I’ve just applied for her school place! They don’t stay babies for long so hopefully fingers crossed when Mia is in full-time school I can get a job to suit me and the hours. So, that’s a bit about me and my life of being a young mum! If you would like to speak to me more whether its questions on how I found my pregnancy or how my labour was or how it is living on my own with Mia then feel free to follow my Instagram @jodieehopkinss.